Will Filing for Chapter 7 Bankruptcy Ever Fall Off a Credit Report? It is reassuring to know that filing for Chapter 7 bankruptcy does not have to be a negative option. Not only is it a way to get a fresh start financially, but it can also allow you the freedom to move forward in your life. The fact remains that there may be nothing one can do to get it taken off of their credit report for quite some time, however it is helpful to know that there are many effective steps one can take in order to greatly improve your credit score right from the start. The immediate effect of filing chapter 7 bankruptcy is that whether your current credit is low or high you are bound to take a hit, and the exact result can vary depending on a number of factors including but not limited to the selective way different credit companies vary their scoring process. Any time Chapter 7 bankruptcy is filed it will stay on your credit report for up to 10 years, once this time period is up credit bureaus will no longer report it. 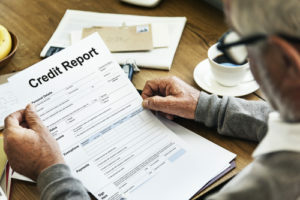 The good news is that while nothing can be done about the amount of time the bankruptcy will stay on your credit report you can immediately start doing things to improve your credit, such as making sure to pay your bills on time and keeping credit balances low. In fact, many people who file Chapter 7 bankruptcy may start to receive new credit card offers almost instantly. Which of course if done carelessly can lead you towards debt once again, but if handled correctly and with an intelligent plan the path to rebuilding your credit will be a realistic and achievable goal once again. Attorney Joel R. Spivack has been successfully advising clients on bankruptcy issues for over 25 years. If you have questions about the bankruptcy process from how long it takes to get a discharge to what paperwork and information need to be filed, schedule a consultation with an experienced attorney immediately. Contact the Law Office of Joel R. Spivack at 856-861-6203 or by filling out our online contact form to schedule a consultation today.